As I was riding my rigid ss 29er on some of my favorite trails this past weekend, I was reminded of the value of suspension for increased traction and decreased fatigue. Trek’s IsoSpeed Technology has been slowly, and expectedly, working its way from their Domane endurance road line, through their Boone cyclocross line, and finally to their hardtail mountain line. In April, Velonews spotted IsoSpeed Tech on Trek hardtails at USA Cycling US Cup races (available here: USA Cycling), and BikeRumor reports spy shots of Trek’s new rides from the Nové Město World Cup races (full races: women, men) last weekend. 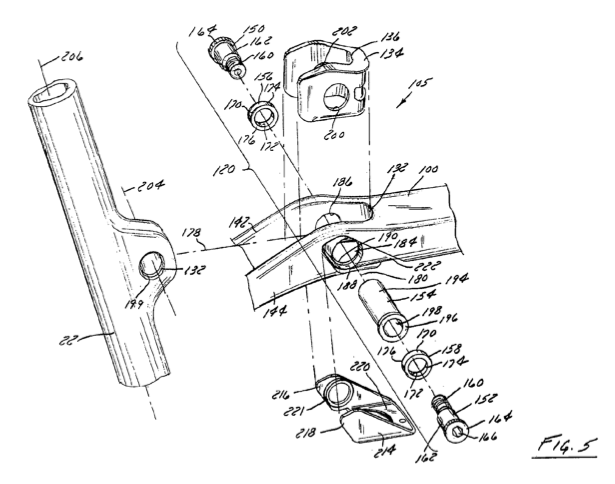 On October 14, 2014, the USPTO issued US 8,857,841 to Trek for their passive seat tube pivot joint, which is marketed as IsoSpeed Technology. 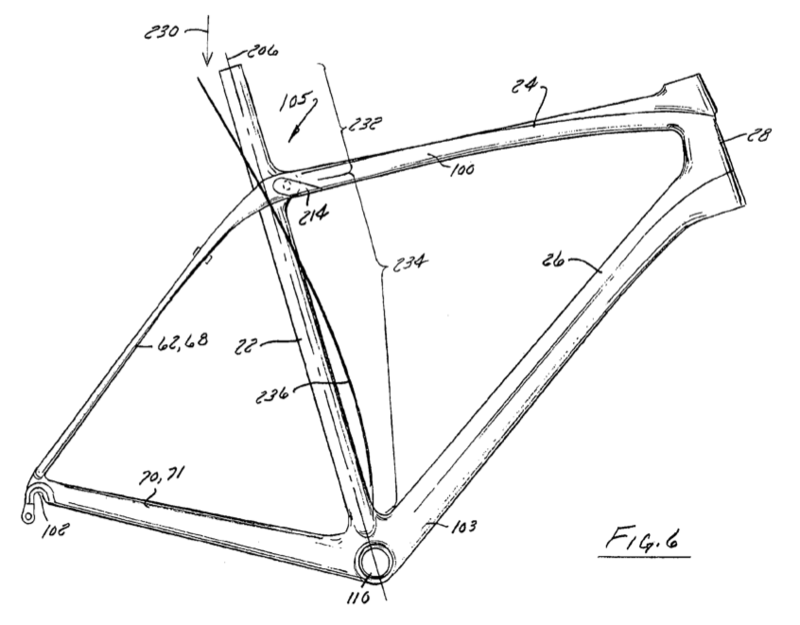 Trek states that the deflection should be nearly unperceivable during most riding conditions, but even absorption of small bumps by the frame in a mostly unnoticeable manner can greatly improve fatigue resistance and comfort when you’re spending hours in the saddle. As much as I love all bikes, I’m a mountain biker at heart. And, I’m excited to see Shimano’s Di2 coming to XTR. Synchro-Shift operates both the front and rear derailleurs in response to input from one shifter. Or, another way, the rider only says, “I need a higher/lower gear,” and Synchro-Shift says, “Okay. We’ll move the front and rear derailleurs like this for you.” It’s like having a 1x drivetrain but with a front derailleur that you don’t have to mess with. 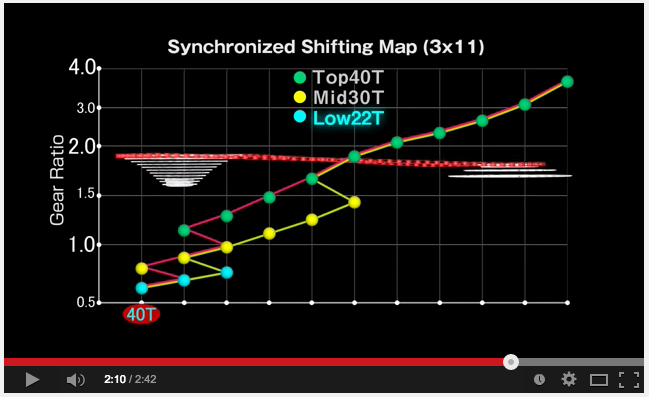 Shimano provides the below video showing Synchro-Shift for 2×11 and 3×11 drivetrains. 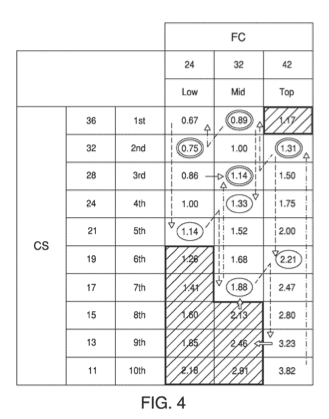 In the 3×11, at least in these examples, less time overall is spent in the smallest chainring – 3 gears when upshifting and 2 gears when downshifting vs. 5 gears up and 2 down for the 3×10.